Help support the DizFanatic Podcast and Website by shopping at Amazon using this link. Welcome to Episode #8 of the DizFanatic podcast! DizFanatic's "Ears on Ears" podcast is a show created by Disney fanatics for the purpose of enhancing your enjoyment of all things Disney. We intend on making this show informative, entertaining and most of all, fun. This episode features Host Anna ”DisneyAnna” DiMare. Anna starts off the show with a discussion about some recent news and rumors with Mike (aka Diz). Mike then has a discussion about Disney in the electronic gaming world with the Adam Goswick, creator of the DizTech column and Armand Usagi, author of the DizGamer column. 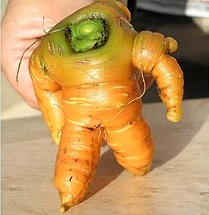 The "Buzz Lightyear" Carrot found by Clive Williams of Henley-On-Thames when harvesting veggies for his grandchildren in his veggie garden. Then join Mike & Anna for the very first DizFanatic Trivia Contest with prizes sponsored by Dizfanatic.com and WDWtravels.com. The winner will be selected at random from all of the entries with correct answers and announced during the next show. Please submit your answers to Mike@DizFanatic.com no later than 11:59PM on September 30, 2010. You can read more about the latest news and rumors at DizFanatic.com. This episode of the DizFanatic Podcast is sponsored by WDWTravels.com which is a full service travel company specializing in Disney vacations. Visit WDWTravels.com for a free quote today! Please visit our main website site DizFanatic.com for more information. We welcome your comments, suggestions and we also just love to hear from you. Feel free to email us at Mike@DizFanatic.com or leave us a voice mail on Skype - just search for user “DizFanatic”! Welcome to Episode #7 of the DizFanatic podcast! The DizFanatic podcast is a show created by Disney fanatics for the purpose of enhancing your enjoyment of all things Disney. We intend on making this show informative, entertaining and most of all, fun. This episode features Host Anna ”DisneyAnna” DiMare along with Mike. Anna starts off the show with a discussion about some recent news and rumors. They go on to discuss a recent road trip to one of the brand new concept Disney Stores and a surprise visit to a Disney Doorway To Dreams outlet. You can read more about the latest news and rumors at DizFanatic.com. 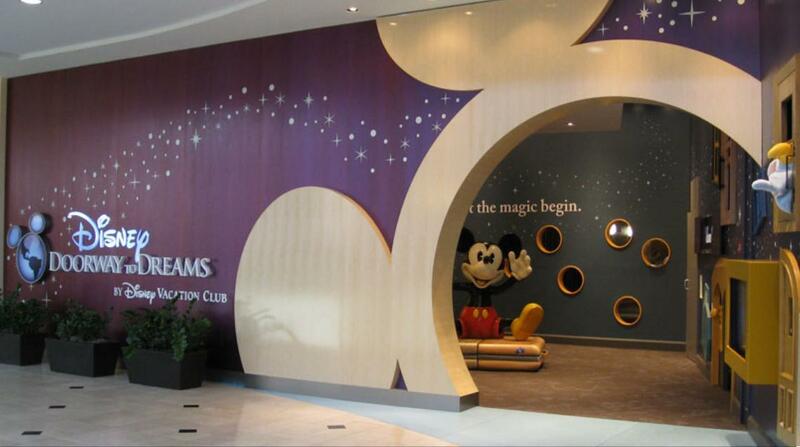 The Disney Doorway to Dreams DVC outlet. 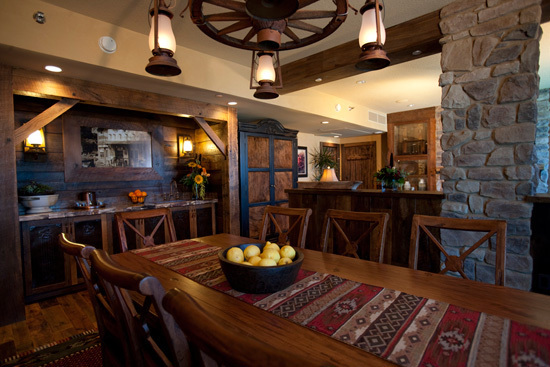 The new Big Thunder Mountain suite in the Disneyland Hotel. When is a store more than a store? When it's a place to find interactive experiences, events full of fun and fantasy, and the inspiration to build your own custom toys. And there's only one place you can find this magical shopping experience – the newly designed Disney Store. It's far more than a store – it's a family destination. By the end of November, the first 20 newly designed Disney Store locations will have opened around the world – from Montebello, California, to New York's Times Square – and the first of the redesigned spaces are open now. They sparkle with activities, surprises to discover, and much more to create the ultimate Disney shopping experience. 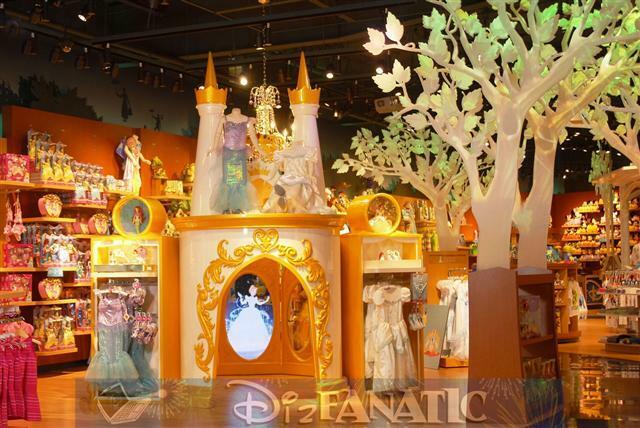 Jon Endicott, Director of Global Store Design for Disney Store, tells us "I think this is the most interactive and Guest-engaging store ever, and it's the first that really showcases Disney products by connecting them to their stories. We do that through what we call 'storytelling neighborhoods,' anchored by 'hero' fixtures. The Disney Princess neighborhood is anchored by a princess castle with an interactive magic mirror. If Disney-Pixar's 'Cars' is your thing, then there's a super-scale Cars case filled with car parts where Guests can design and put together their own car right there in the Ridemakerz workshop in the store. It lets Guests interact with Disney stories." Winding through the store is the Pixie Dust Trail, which leads Guests past the shimmering "enchanted trees" that grace the store, to a spacious white gazebo housing a 12-foot-wide curved theater-style screen. There families can relax and chat, and kids can enjoy live storytelling and the Disney Store Theater which plays videos chosen and programmed by the kids themselves. Jon explains, "It's like a video version of a jukebox." Guests will also find a myriad of live events to take part in, like scavenger hunts and character drawing workshops. "There's a whole host of interactive activities that the Cast can do with the Guest. It's incredible to see the kids play and interact, and parents' faces light up when they see their kids having fun!" And having fun is what it's all about. "Our 'design brief' was to create the best 30 minutes of a child's day. 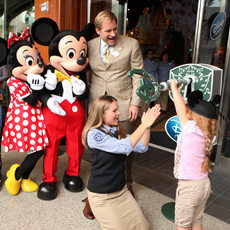 We wanted to make sure that the new store was a shining beacon of the Disney brand," Jon says. "There are theme parks, but then there are DISNEY Theme Parks, and the same is true for cruise ships, movies, theater – Disney is always a cut above. Disney has its own community, and we wanted to create a store where when people walk in, they feel that they're immersed in Disney." The jewel in the Disney Store crown will be New York's Times Square location, opening this fall. Two stories high, it will have higher ceilings, bigger décor, and a host of exclusive merchandise you'll find nowhere else. But every visit to any newly designed Disney Store throughout the world will be more than a shopping experience – it will be a trip to a place where imagination is free to fly. Please help support the DizFanatic podcast with a donation.